In the last part of our data warehouse (DWH) tutorial, I showed you how to load a dimension table that stores historical data according to the Slowly Changing Dimension Type 1 (SCD1). In today’s post, I will focus on a Slowly Changing Dimension Type 2 (SCD2) dimension table. I think that SCD2 is the most challenging sub-task of the ETL part of DWH design and each ETL architect should be able to deal with it. In contrast to SCD1, SCD2 table stores and preserves the history of attributes. So once the value of the attribute is changed in external system (OLTP) we have to create a new record in SCD2 dimension table with the actual value but we also have to mark the old record in SCD2 table as obsolete. The most common way to obsolete the record is to maintain two additional attributes: valid_from and valid_to. Then the record is considered valid at particular date D when valid_from < D ≤ valid_to. You can find a detailed explanation of SCD2 principles in Kimball’s DWH bible or on wikipedia.org. Let us show how SCD2 works in real in a small example. We will use DWH schema introduced in SCD1’s post. It consists of four dimensions (Customer, Product, Store and Date), one degenerate dimension (invoice number) and one fact table (Sales). Fact table stores two additive facts: units and total price. Store table is populated as SCD1 and we will load Customer table that was marked as SCD2 dimension table. Let’s imagine that Customer changed his email. What will happen in OLTP and DWH Customer table named D_CUSTOMER? Notice especially the first two attributes (columns) and the last two attributes of DWH table. The first attribute is a surrogate key, it is a unique identifier of the record in D_CUSTOMER table. It is generated by ETL process. The second one (C0001) is a natural key, a unique identifier of customer in OLTP. When you list all records of the same natural key in D_CUSTOMER you will get a complete history of one customer. The principle how SCD2 works is explained now I will describe an implementation of SCD2 in CloverETL. 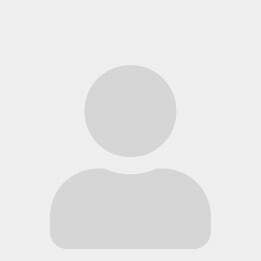 See the CloverETL’s graph bellow. The record exists only in DWH. This should not happen, it means that the record was deleted in OLTP. The “normal” OLTPs do not allow delete of records. That kind of records end in Trash component. In DWH table there exists at least one record with the same natural key as the record coming from OLTP. That record goes through the second output port to the component that identifies whether the record was changed (ExtFilter component). And then the record is copied to two records: the first one that obsoletes the current record in D_CUSTOMER (identified by surrogate key) and the second one that is inserted to D_CUSTOMER and stores the new values read from OLTP. The first one set column valid_to = today()-1 and the second record is inserted with valid_from = today() and valid_to = null. The record coming from OLTP is a new one, there is no record with the same natural key in DWH. In that case the record is sent to the third output port and in following components is inserted to D_CUSTOMER table with valid_from = today() and valid_to = null. 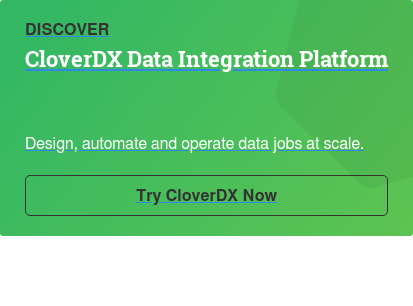 If you want to verify that your CloverETL SCD2 graph works correctly or if you are looking for sample data, you can simply import example project to your Clover installation. It is embedded to your CloverETL Designer as a DWHExample project.